Cover Reveal, & Tarrin’s Bay Gift Pack to WIN! 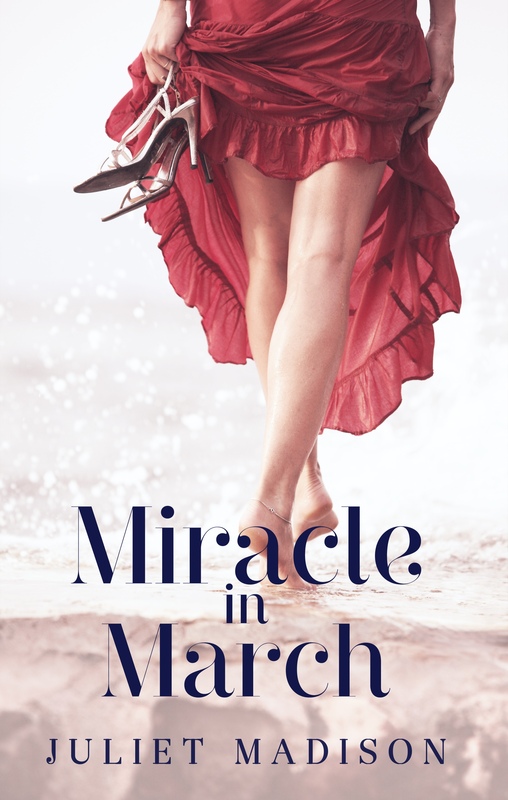 The cover fairies at Harlequin Australia have done their magic again, this time with the third book in my Tarrin’s Bay series, MIRACLE IN MARCH. What do you think? Here is the blurb for this story, due for release March 8th 2015. So now that the March book is gearing up for release, I guess I better start planning the April book! Luckily, the characters and story are already taking shape in my mind. All I’ll tell you for now is that the hero and heroine will be next door neighbours. One is a social butterfly, the other is a bit of a hermit. One has a physical disability, the other has emotional scars. But despite their clashing personalities they may just find something amazing that bonds them together. There will be a candle shop, feuding pet cats, and tattoos. Which means skin. And muscles. 😉 And of course, as with all my small town stories, there will be secrets. And this will be the first TB book in which neither of the characters are parents. More later! The only catch? You must be a member of my Tarrin’s Bay Series Readers Group on Facebook. And the winner can’t be one of my family members (sorry Mum). Two signed, lined notebooks featuring The January Wish and February or Forever on the front. Fill them with your ideas, musings, study notes, recipes, goals and dreams, or whatever you ‘wish’! I hope you will cherish them ‘forever’. 😉 Sorry, if you’ve read the February book you might remember that Drew likes puns. A 2015 calendar featuring beautiful photos of the Australian NSW South Coast, where I live, and also the inspiration for the setting of the Tarrin’s Bay series. This is from south coast photographer Andy Hutchinson. A message in a bottle! A mini-bottle, with real sand and a shell from one of our beaches! And, I will write you a secret message inside. Sterling silver beaded earrings featuring the colours from the book covers, handmade locally. 1. Join my Tarrin’s Bay Series Readers Group on Facebook HERE (if you’re not already a member). Once I’ve approved your request to join, you’ll be able to see the post about the giveaway. 2. Read the instructions in the giveaway post in the Facebook group, and comment on the post with your entry. 3. Winner announced December 9th. Posted on December 2, 2014, in Book Covers, Competitions and tagged competition, cover reveal, february or forever, miracle in march, Tarrins' Bay Series, the january wish. Bookmark the permalink. Leave a comment.